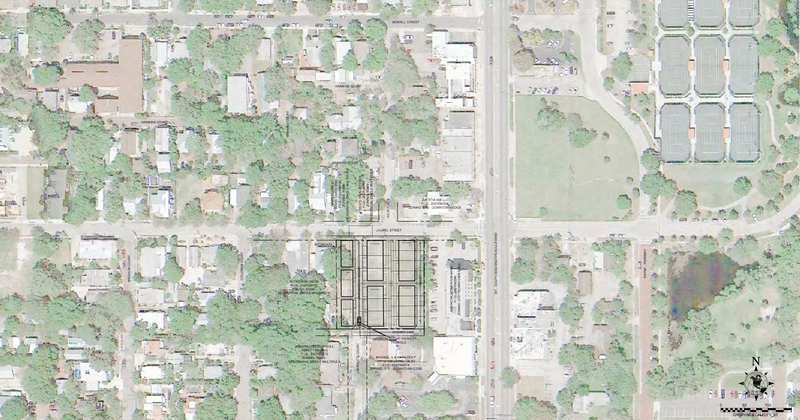 Plans for a townhome project on the edge of Laurel Park moved a step forward this week, after a split Sarasota Planning Board recommended approval of the developer’s request to forgo a zoning stipulation for attainable housing. 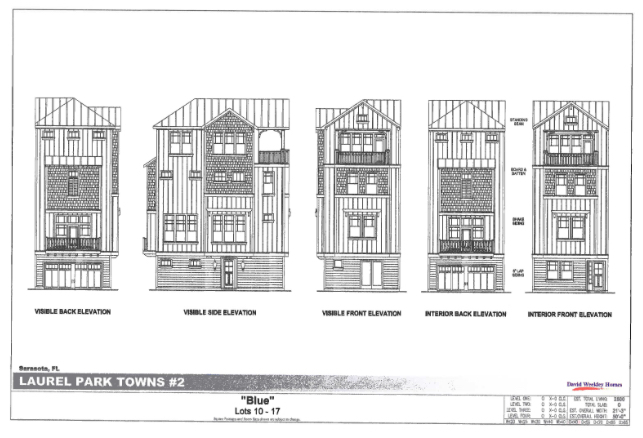 Oaktree Development, which has a county-owned, 0.8-acre parcel under contract for purchase, wants to build 17 townhomes on the property. But the development team — including nationally known firm David Weekley Homes — has proposed several changes before the project can commence. In a 3-2 vote Wednesday, the city’s Planning Board recommended the City Commission approve the most significant one: a Comprehensive Plan amendment to remove a site-specific requirement for “attainable housing units” at 1938 Laurel St., according to city documents. The City Commission has final say on that change, as well as on an additional rezone request the developer has proposed. 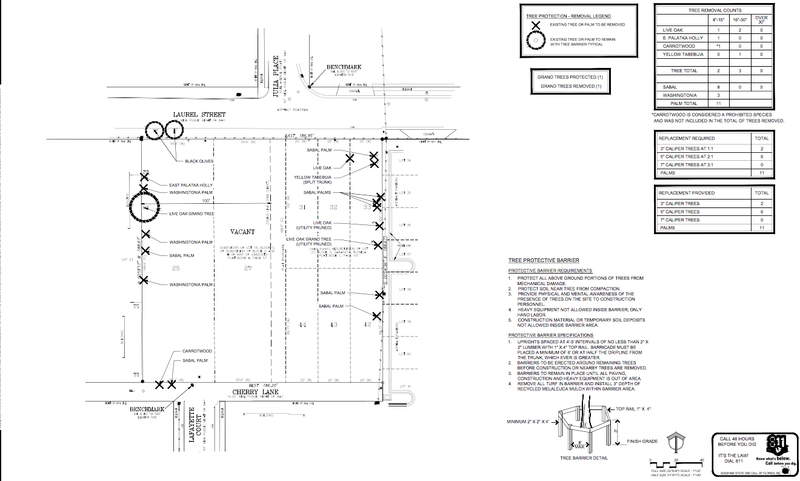 Under the current Comprehensive Plan zoning for the property, development is limited to 12 attainable dwelling units, along with non-residential uses restricted to no more than 23,500 square feet of office space. 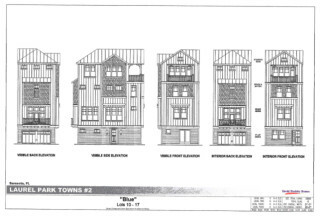 In lieu of building the attainable units, Oaktree Development, wants to make a $250,002 contribution to an affordable housing trust fund the city has established. During Wednesday’s meeting, Planning Board members Vald Svekis and Patrick Gannon cast the “No” votes on the Comprehensive Plan change. The other three board members are Robert Lindsay, David Morriss and Chris Gallagher. Svekis is the chair. 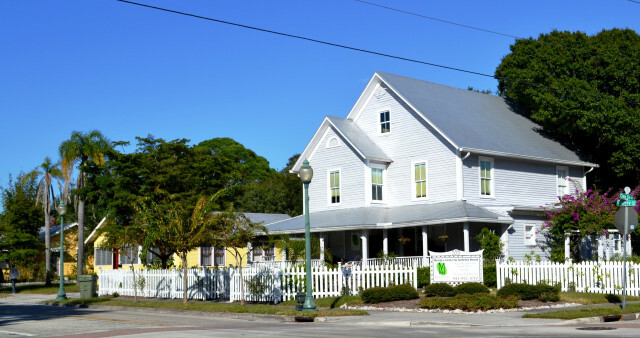 Before the vote, Svekis voiced his objections, noting that about 60 percent of Sarasota residents fall in the “attainable housing” income bracket, and there is a significant shortage of such units being built in the city. “I am talking about affordability for a large segment of Sarasota,” Svekis said. Attainable housing is classified differently than affordable housing, according to city documents. “Attainable housing” is described as units that meet the needs of those working residents who earn between 60 and 120 percent of the area median income. Nue said the city would have flexibility in choosing how to utilize the developer’s $250,002 contribution. “We think the contribution furthers the strategy towards the city’s direction,” Nue added. Members of the development team have met with city commissioners to discuss their plans, the Planning Board discussion indicated, including the financial contribution in lieu of attainable units. But board members questioned how the developer came up with the $250,002 figure. Infanti replied that that was more of a placeholder number calculated on the basis of The DeMarcay condominium project on Palm Avenue in downtown Sarasota, a which included an affordable housing donation. “A lot more details, when it comes to the contributions, will come after the rezone process,” Nue told the board. Oaktree Development also proposes to vacate a portion of Cherry Lane and rezone the parcel from Office Professional Business (OPB) to Downtown Edge (DTE). That rezone will be voted on at a later date. 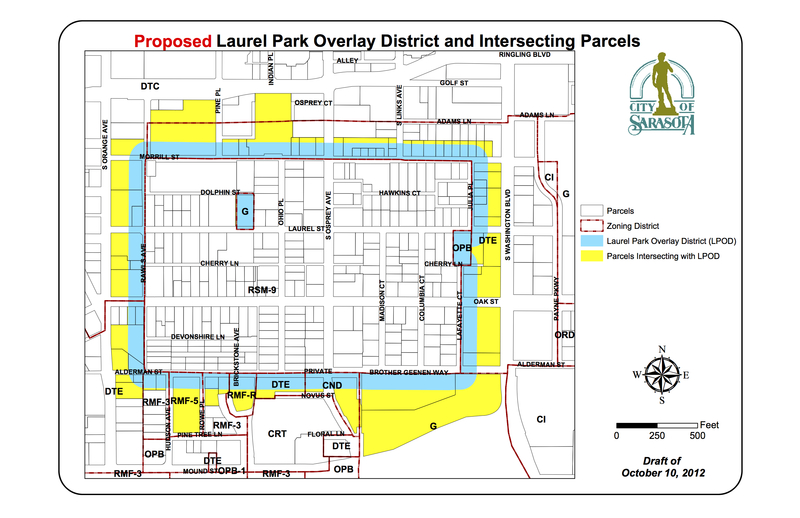 Because the Oaktree project falls within the Laurel Park Overlay District, the developer has spent the past few months meeting with Laurel Park residents to ensure the plan is compatible architecturally and in scale with the existing homes. 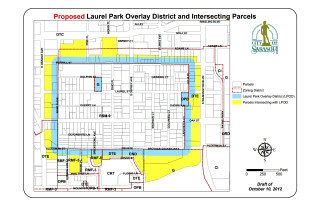 The Laurel Park Neighborhood Association sent a letter to the city on April 16 of this year, expressing support of Oaktree Development’s proposed zoning change. 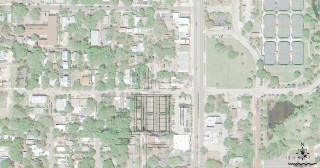 Nue noted that the developer is limiting the property to residential use. 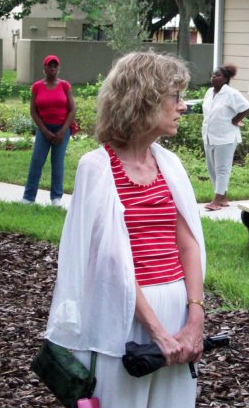 Kate Lowman of Laurel Park, the sole member of the public to speak at Wednesday’s meeting, reiterated the residents’ support of the project as a compatible neighbor.